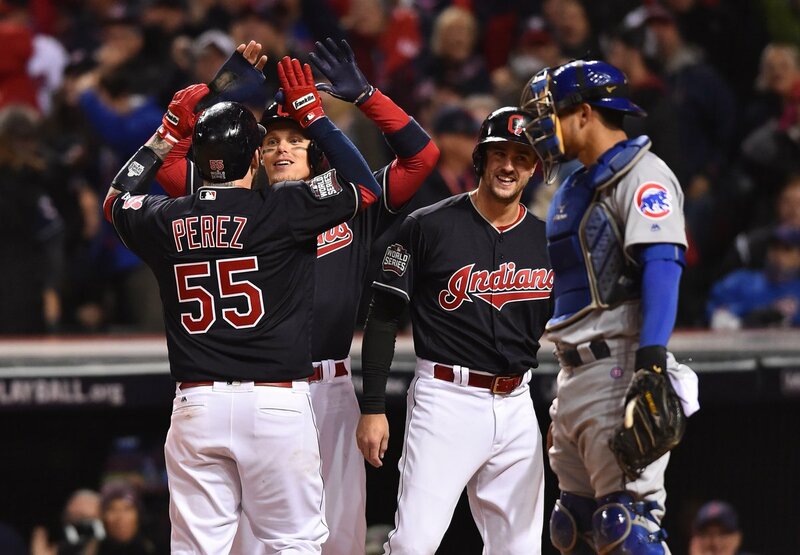 The Cleveland Indians' pitchers threw a total of 15 strikeouts while Roberto Perez hit two home runs to take a resounding victory in game 1 of the World Series against the Chicago Cubs. Corey Kluber was creating all sorts of problems from the mound, with three of the away batters unable to land a clean hit in the first innings. The Indians followed this with two huge runs in the bottom first, with Francisco Lindor and Jose Ramirez pulling off two singles and a double to create some leverage for the Ohioans. 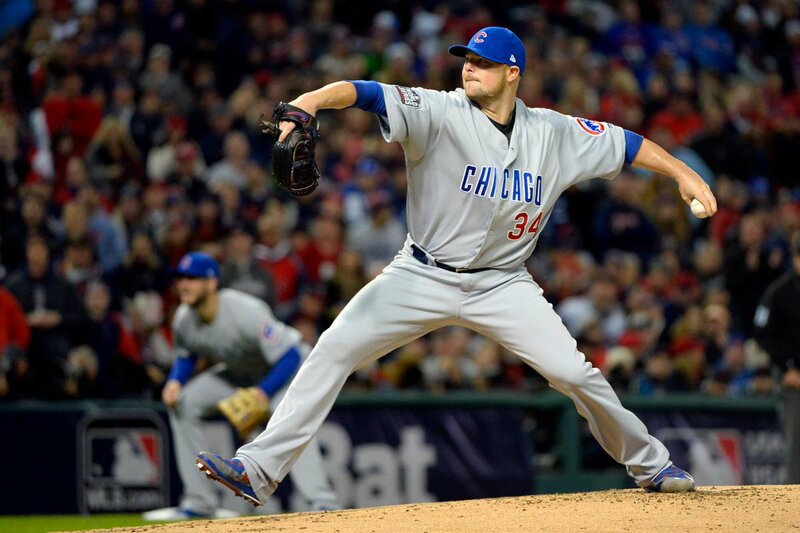 The opposing pitcher Jon Lester had far better fortunes in the second inning, trying to rival Kluber's performance - which saw him earn a fifth strikeout - with Kipnis' big hit being caught in the outfield by Javier Báez. It was a swing and miss for Kris Bryant of the Cubs in the third inning, with Kluber again putting on a clinic for the raucous Indians' fans as the hitter missed three times for an eighth strikeout. Ramirez did manage a single in the third, but they were unable to score as the Indians continued to find comfort. Andrew Miller came out to pitch with most of the work done, recovering from a shaky start as Kluber rested and watched on from the bullpen. Things really began to shape up in the bottom fourth when Roberto Perez absolutely smashed Jon Lester, just as he was beginning to stabilise following a struggle in the earlier stages. The Puerto Rico native hit it past the marker to make it a home run and put Cleveland up 3-0. 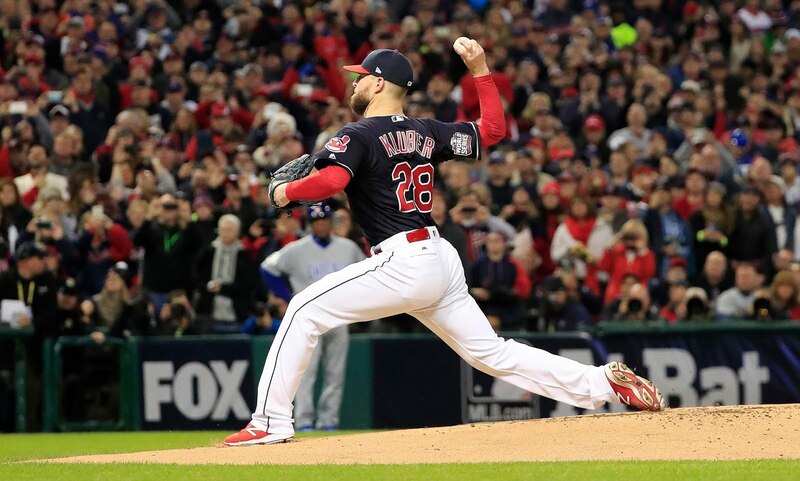 Kluber was showing no signs of letting up when the Indians were at the top, and on flying form he continued to get strike after strike, with the Cubs just unable to find the out as the victory became somewhat inevitable for the hosts. Schwarber would strike out in the top eighth with the jubilation infectious for Cleveland. Roberto Perez struck his second home run of the game to hand three more runs to the Indians in the bottom eighth. With two runners already on the base, he sent Héctor Rondón's delivery flying into the stands and his two teammates reached the fourth base to take the total up to 6-0 putting the Indians just three outs from taking the game. 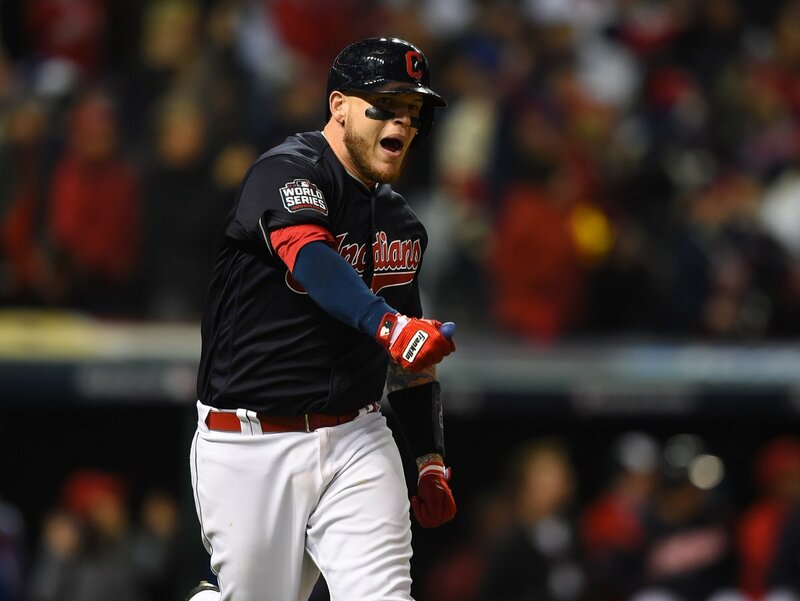 They got them pretty easily, and what was an inevitability really after the first few innings, the Cleveland Indians had got off to a winning start in front of their home fans, moving just three wins away from a massive World Series triumph.